Join us at the Levitt Shell for another amazing afternoon of music and fun! 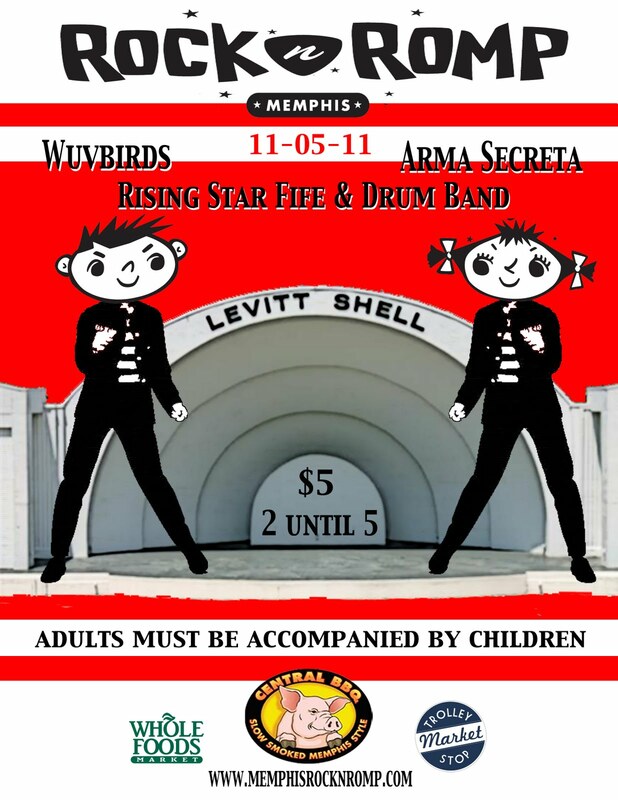 Arma Secreta, Wuvbirds, and the Rising Star Fife & Drum Band will be playing (in that order) and per usual we will have free beer, Central BBQ, and snacks from Whole Foods. We will also have some big ol' pizzas from the Trolley Stop Market! Supplies are limited so please bring a snack to share as well as a blanket or a chair. Little ones may need earplugs. Speaking of little ones, we will have a craft area set up for them to make some super cool bird puppets. Adults must be accompanied by children. $5 per adult; children are free.